Thanks for the great support this year! Have a Merry Christmas and a good start into 2012! 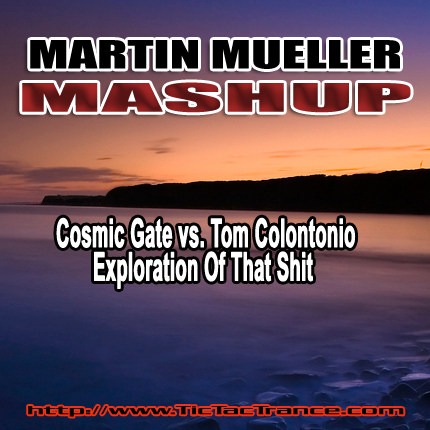 As a little thank you I give away my uplifting, 140 BPM trancy mashup, which I’ve hammered down this year so much. Now, after so many requests, it’s finally your’s, enjoy! Tic Tac Trance #048 Replay available! That was is, the year 2011 is almost over. 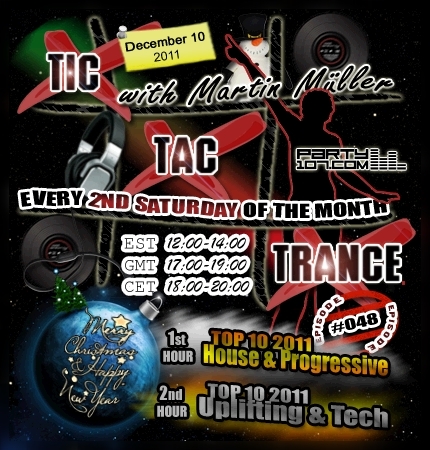 The final edition of Tic Tac Trance will air on December 10 2011 on Party107.com! In the first hour of episode #048 I present you my personal Top 10 2011 of House & Progressive. The second hour will feature my personal Top 10 2011 of Uplifting & Tech. Sorry for those who expected another mashup megamix, I wanted to make this year’s final episode different than the years before. Don’t forget to tune in!